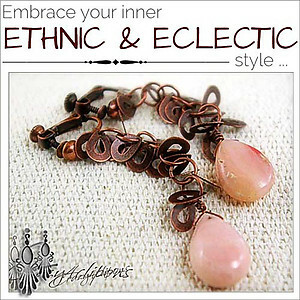 Features: So Eclectic and stylish! A column of small antique copper teardrops all dangling down a copper chain ending with puffed Peruvian pink opal teardrops. A really stunning look, rich and perfect for the season. 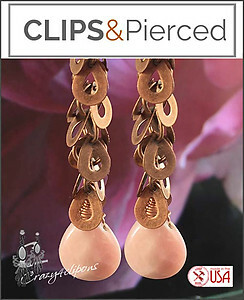 Look beautiful as clip earrings but they are also available as pierced.